Enduring 260 miles, rainy showers, early starts and a biker's suntan, Sergeant Major Steve Drewery has completed the Kent to Devon (K2D) cycle ride for education charity CVQO, raising over £3,000 for cadets at Okehampton Army Cadet Force Summer Camp to take the CVQO-led BTEC Level 1 Certificate in Teamwork, Personal Skills and Citizenship. 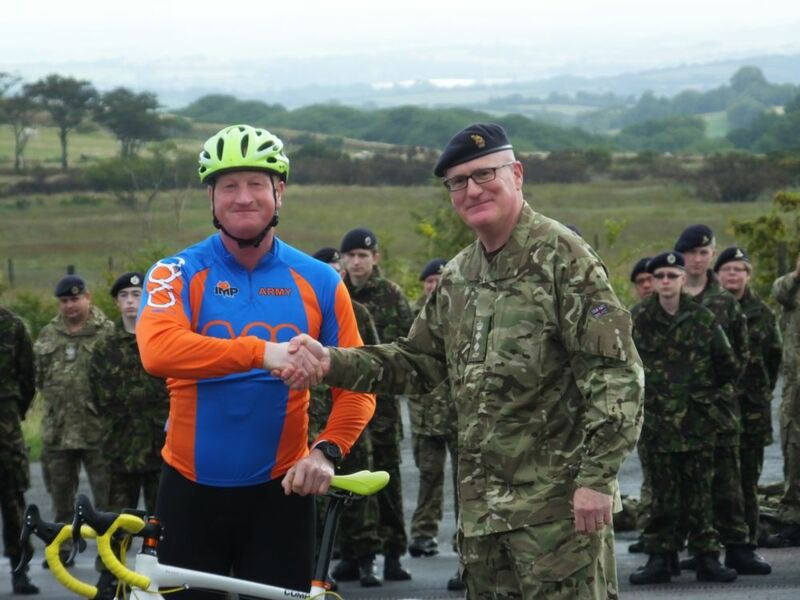 Cycling up to 90 miles per day, Sgt Maj Drewery was waved off by the Lord Lieutenant of Kent at Penshurst Place in Kent on Thursday 8 August and arrived to jubilant cheers at Okehampton Summer Camp on Saturday 10 August. The rigorous three day bike ride took him via Winchester and Bridport before arriving in Okehampton, Devon. His journey was widely followed on social media and his fundraising total continued to increase as he got closer to the finishing line. The CVQO-led BTEC Level 1 qualification provides an excellent introduction to vocational learning for 13-15 year olds. It is delivered alongside the existing cadet force syllabus and there is no additional work required as the qualification has been designed to complement and enhance the existing cadet awards. Sergeant Major Drewery, who is Training Safety Advisor for Kent 2 Brigade, said it had been "emotional" and on hearing his final fundraising total commented: "if it funds 30 young kids, it's all worthwhile." One sponsor wrote on Sgt Maj Drewery's giving site: "My donation represents my pay for the first day of camp (after tax!). Given the discomfort you will be facing on Saturday in the name of a fantastic cause I think you deserve it more than me!"